Smoking is a habit that tends to stick and is very hard to get rid of. While smoking really does have some health consequences, it is also possible to decrease the hazards by smoking cigarettes that are low in tar and nicotine. Fortunately, there are premium cigarette brands that maintain all the flavor and aroma, while being light. An example of such a brand is Silk Cut cigarettes. 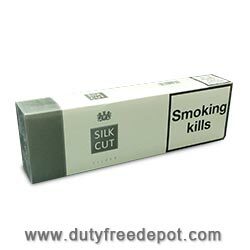 Silk Cut cigarettes have been around since the 1970 and they have gained fame for containing less than half the tar content of stronger cigarette brands. 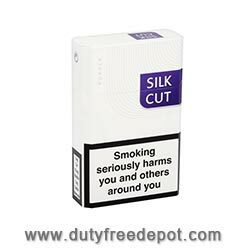 Silk Cut cigarettes are now available at Duty Free Depot, a leading online tobacco store on the internet. Duty Free Depot is the ultimate place to shop for tobacco products online. The store offers high quality cigars and cigarettes, as well as many types of tobacco-related accessories like lighters, e-cigarettes and spirits. The store's great advantage is the low prices of the products. Prices are very low to begin with, however, the store also offers discounts, coupons and special deals occasionally, so products can be bought for an even cheaper price. Another way of saving is buying a large number of boxes or packets at once, then you can pay a lower price for each item. Not only the low prices and high-quality products make Duty Free Depot the ultimate place for purchasing tobacco products. 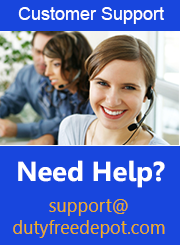 The service at the store is superb, and includes a customer service that can be contacted in case of any problem or question. In addition, delivery is to every corner of the world, including the USA, Europe and Asia: Duty Free Depot has a worldwide shipping policy. All in all, Duty Free Depot is a place where you can truly enjoy purchasing tobacco products.